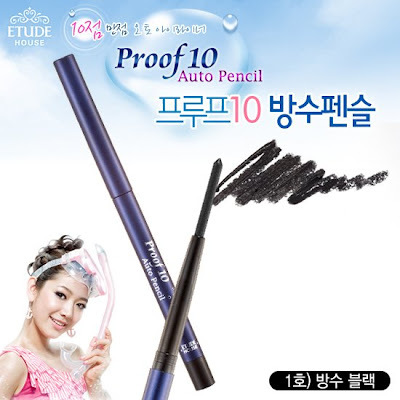 Some of us might looking for a really water proof eye liner and can't find a good one.So do I.
I've been looking for a water proof eye liner and this Etude Proof 10 Auto Pencil's advertisement catch my eyes. Though I can't read Korean language, but I think it claims this Etude Proof 10 Auto Pencil is water resistant and can stay up to 24 hours on your eyelid. 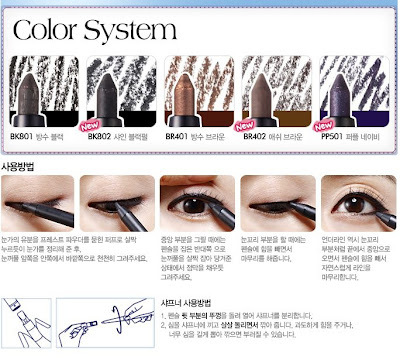 I got black color, but there are 5 colors to choose. And as you can see in this ad, this auto pencil also give you a sharpener in its back. Just pull off its 'tail' and you get a sharpener. It comes in shiny dark blue packaging with silver texts. Its pencil is retractable. You have to spin it until the pencil goes out, you should adjust how much you want the pencil comes out. Closer to its pencil. It's quite long and strong. This is the sharpener. You can get this sharpener by pull of its 'tail' (you can see on its body and find SHARPENER text, then pull it off). How it looks like? 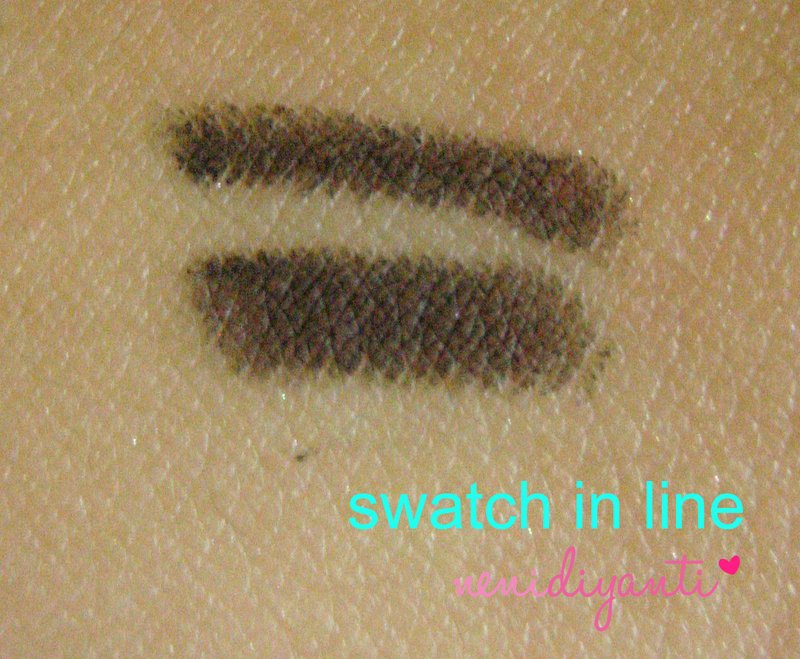 This auto pencil won't give you intense black color with one daub. By the way, you can adjust the line's width by sharpening the pencil. 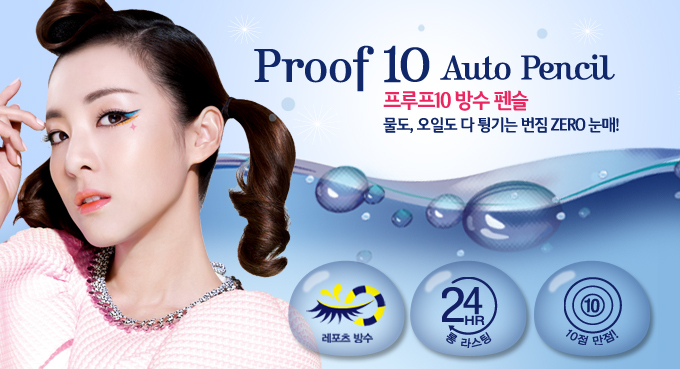 I putted it in two kind of water tests. The 1st one is under running water and the 2nd one with water drops. Under running water : Well, as you can see. 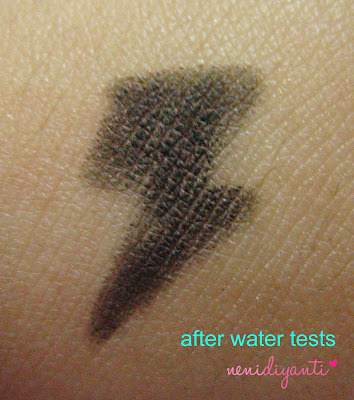 It doesn't fade off easily with water, even running water. 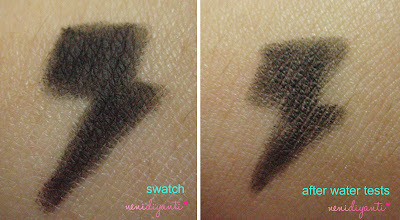 Water drops : After I let the water drop stays for about 2 minutes, the eyeliner is still there. 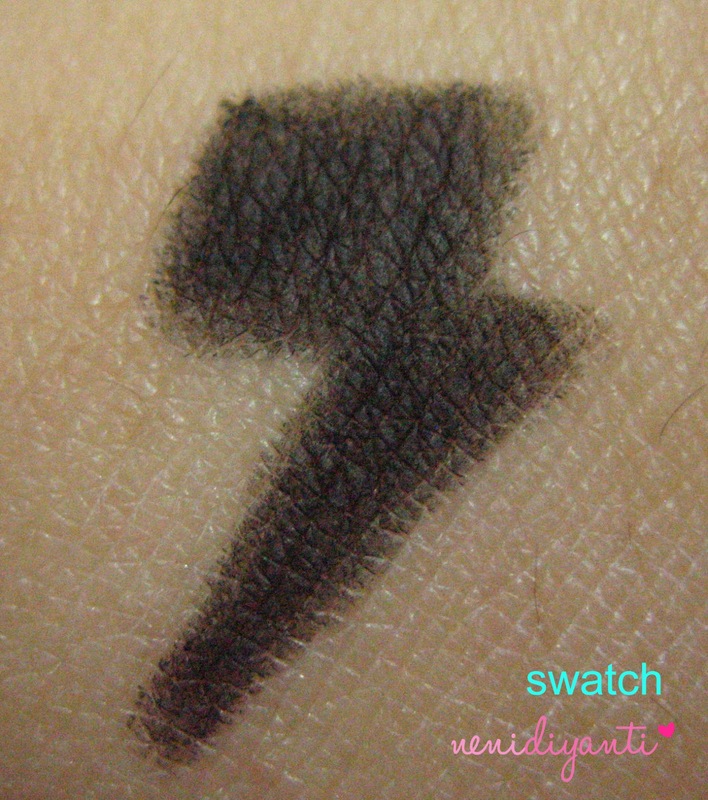 It doesn't fade. Surprisingly, it still there! Even most of the part are fade off. You can compare before and after water tests by your self. I think, it's true if Etude claimed this auto pencil is waterproof. 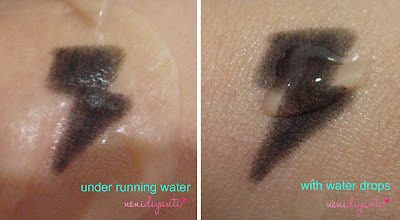 bagusss....love everything that waterproof...haha...cute review. and thanks so much for a nice comment on my blog...kisses!